April 2015 is by far my best month of the first half of the year. This is the month that Dave and I travel overseas and this year we will be going back to France. But before we leave, here are a few things to share with you and Celia from Fig Jam And Lime Cordial. So, in my kitchen this month is a new note book. The very lovely Lorraine sent it to me as a gift for Christmas. I am going to use it to write all my cook book reviews in. At present I have an exam pad that I write the notes into, but this is much prettier. In the same package was this amazing block of chocolate. I had to keep it away from Dave who is a chocoholic and cannot say no to another block (or three). Dave and I both like thin mugs, but I like a bigger mug than he does. It has taken me years to find a mug that I like for my coffee and finally I found one! Hopefully this one will last longer than the previous one, which I left on the floor next to the couch and forgot about when I stood up! 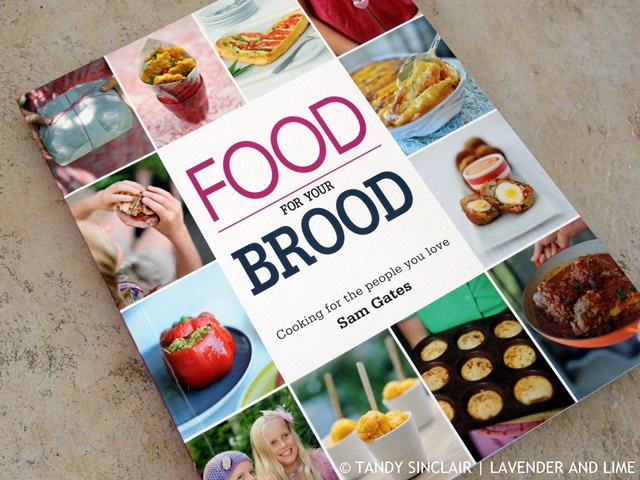 I was sent a copy of Food For Your Brood to review by Penguin Random House South Africa. I am always so grateful for these books as they are a treat for me and something I would not buy for myself at present, as all my spare cash it going to the finishes of our house. Last but not least is a container of lime leaves. I looked everywhere in the spice section of my local stores for these and then stumbled across them with the Asian cooking ingredients. I was really happy, as I love the flavour they impart to my dishes. Those lime leaves are a good idea for when you can’t find the fresh (which is almost always here). I will start a hunt for them. I’ve found preserved ones which are not really very good. Very lovely mug for tea, it looks as if it will fit into your hand perfectly. Just right for tea or coffee. Yum, I love Haigh’s chocolate, and that is a lovely mug! Have a great holiday! 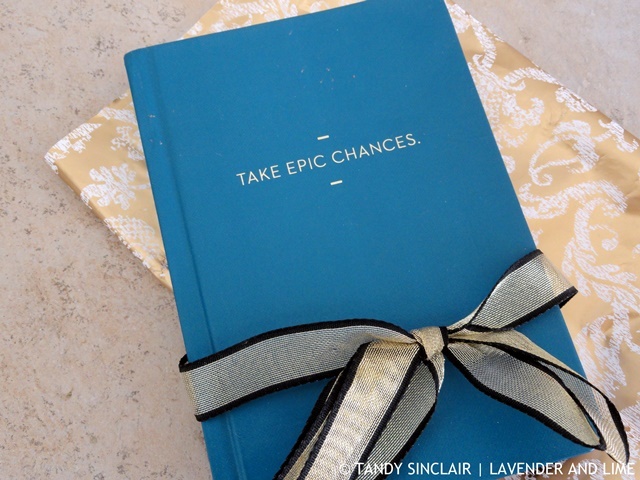 Love that phrase – take epic chances!! I much prefer drinking out of a thin walled mug too and I like a bigger size! I found one in Waitrose recently and think I need to get another one as my son seems to like it too! Have a wonderful time in France – look forward to you IG posts from there, Tandy! Thanks Selma, I cannot wait! such a pretty notebook. have fun in france. Hi Tandy! 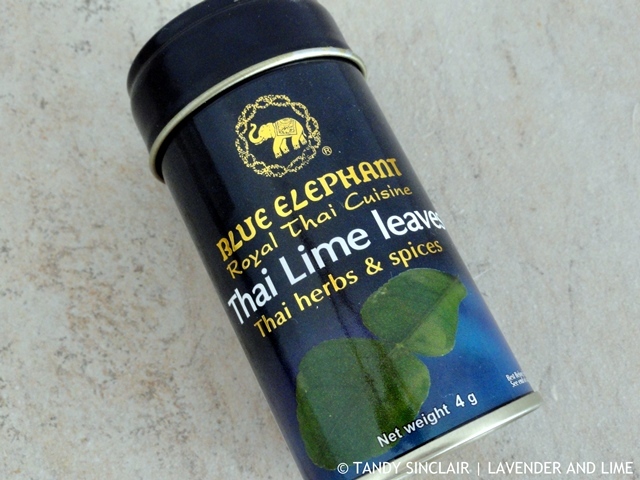 Thai lime adds a lovely flavor to food. Thanks for the peek and I wish you a wonderful trip! Love that you are off on adventures. Can’t wait! Have a wonderful time in France Tandy. My husband and I have favourite mugs too. Tea and coffee just taste better from them. So many lovely things Tandy. Your notebook is lovely. Have a great trip – Tandy – look forward to hearing all about it! I love reading the IMK posts! I know what you mean about having a mug you like Tandy. I have a very cheap one that the kids gave me many years ago but there is now a chip and a 2nd hot on it’s heels. I think it’s not long for this world. It’s my favourite Saturday morning cup. There’s really nothing like lime leaves is there? So fragrant and an interesting flavour if added to custards. Enjoy your travels. A truly delicious tour. Fiona, my tea mug with Boxer puppies has a chip, but I cannot bring myself to throw it away! 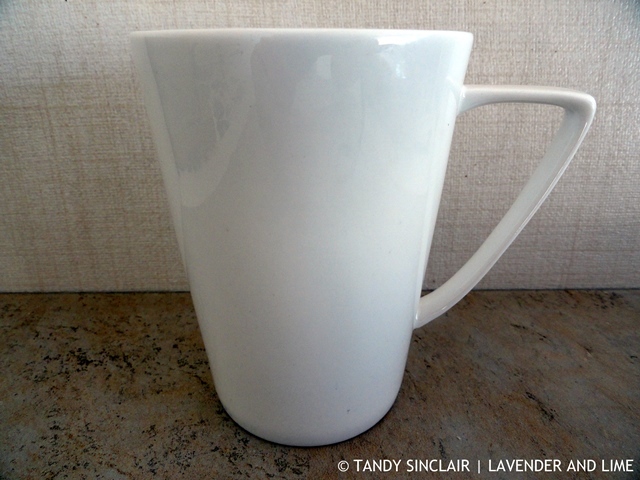 I love peeking in your kitchen Tandy…I too love big mug…enjoy your vacation! G’day Tandy! 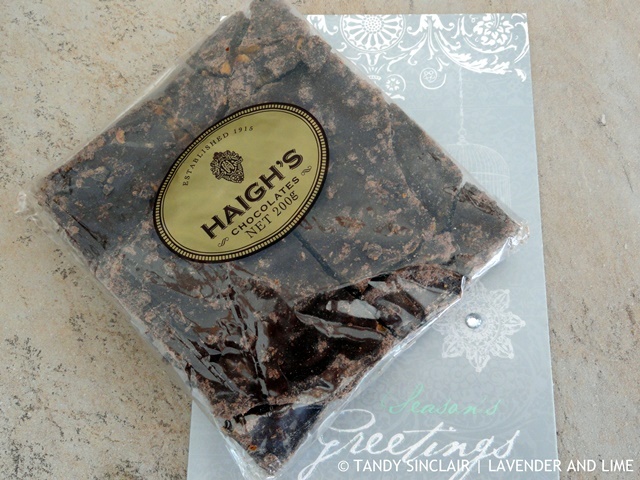 I couldn’t go past that South Australian Haigh’s chocolate! And your Thailime leaves intrigued me! Happy Easter and thanks for this month’s kitchen view also! Hi Tandy! I really like think mugs too. And I though I was the only one who is super picky about the cup I drink my coffee out of. For me, nothing pairs better with coffee than chocolate……melted right in. France sounds so exciting. One day! Until then, we’re leaving for vacation for awhile starting tomorrow and I can’t wait. Heading to a warmer climate!! Some lovely things and what great gifts! I love BIG coffee mugs too! I have one that’s about 10 years old – it’s all chipped and stained – but I haven’t been able to find one as big to replace it with! Safe travels to you and Dave Tandy! I just love the name of that book, take epic changes, I so love it. And I love those herbs. Wonderful post. France is at the top of my list for places I want to visit – have fun! Love that coffee cup, it’s the perfect size. How delicious to have some Haigh’s sent yo you by Celia… and those Thai lime herbs, wow! Very pretty notebook, indeed. Thanks for the heads-up about where to look for the lime leaves, I’ve been hunting for them too!